Stefancic, Jean, Richard Delgado. No Mercy: How Conservative Think Tanks and Foundations Changed America's Social Agenda. Foreword by Mark Tushnet. Philadelphia. Temple. 1996. 227 pps. Octavo. First edition. Fine copy. Stehelin, J.P (ed) Johann Andreas Eisenmenger. The Traditions of the Jews. Torrance. Institute for Historical Review. 2000. Octavo. Soft cover. Fine copy. Steiger, Brad. The Psychic Feats of Olof Jonsson. ESP Experiments During Moon Flight of Apollo 14. Englewood Cliffs. Prentice-Hall. 1971. 221 pps. Octavo. Hardcover. First edition. Fine copy in near fine dust jacket (in mylar). Steiger, Sam. Kill the Lawyers! Signed and numbered. Payson. Prickly Pear. 1990. Octavo. Gilt decorated hard cover. First edition. Illustrated. LImited edition of 200 copies, number 43. Signed by the author. Fine copy. Stein, Jean (ed). Grand Street. Meriden. Hull. 1998. 260 pps. Octavo. Soft cover. First edition. Illustrated in color and black & white. Contributors: William Vollman, Ionesco, Taylor-Wood, Boudjedra, Lebel. Fine copy. Stein, Kenneth W. (1946- ). The Land Question in Palestine. Inscribed by the author. 1917-1939. Chapel Hill. University of North Carolina Press. 1984. 314 pps. Octavo. Soft cover. Notes, glossary, biblio., index. Inscribed by the author. Near fine copy (very light shelf wear). Steinberg, Goodwin. From the Ground Up. Inscribed by the author. 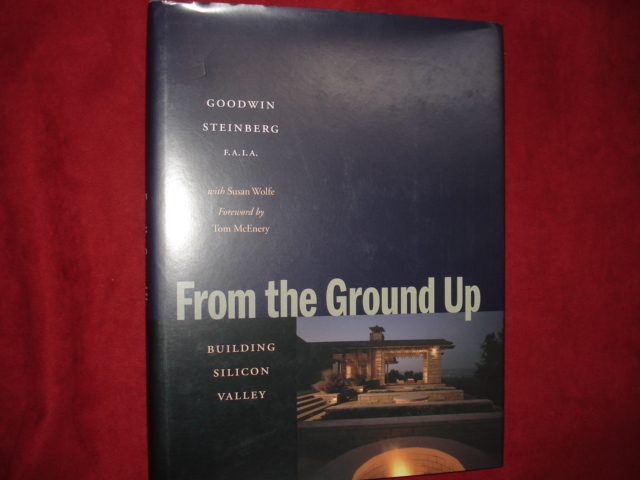 Building Silicon Valley. Photo available. Stanford. Stanford University Press. 2002. 4to. Hard cover. First edition. Illustrated in black, white and color. Inscribed by the author. Fine copy in fine dust jacket (in mylar). Steinbrunner, Chris. The Films of Sherlock Holmes. Secaucus. Citadel Press. 1978. 4to. Hard cover. First edition. Illustrated. Fine copy in near fine (spine tip wear) dust jacket (in mylar). Steiner, Rudolf & Joseph Beuys. Bees. 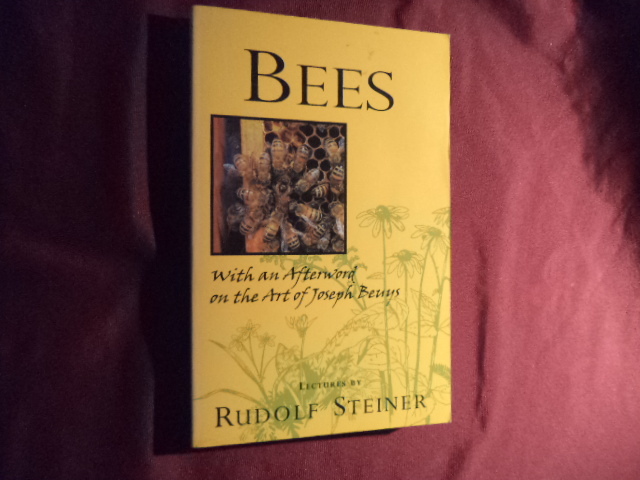 Lectures by Rudolf Steiner. Photo available. Barrington. Anthroposophic Press. 1998. 233 pps. Octavo. Soft cover. Reprint. Illustrated. Important reference work. Fine copy. Steiner, Wendy. The Scandal of Pleasure. Art in An Age of Fundamentalism. Chicago. University of Chicago Press. 1995. Octavo. Hard cover. Illustrated. Fine copy in fine dust jacket (in mylar). Stellrecht, Helmut. Adolf Hitler. Heil und Unheil; Die verlorene Revolution. TŸbingen. Grabert. 1974. 333 pps. Octavo. Hardcover. First edition. Fine copy. Stephens, Autumn (ed). Wild Words from Wild Women. 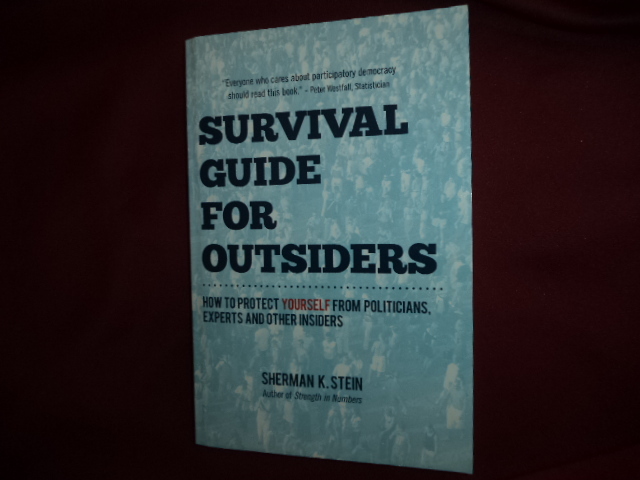 An Unbridled Collection of Candid Observations and Extremely Opinionated Bon Mots. Berkeley. Conari. 1996. 286 pps. Octavo. Soft cover. Reprint. Illustrated. Fine copy. Stephens, Autumn. Wild Women. Crusaders, Curmudgeons and Completely Corsetless Ladies in the Otherwise Virtuous Victorian Era. Berkeley. Conari. 1992. 250 pps. Octavo. Soft cover. First edition. Illustrated. Fine copy. Stephens, George Washington. 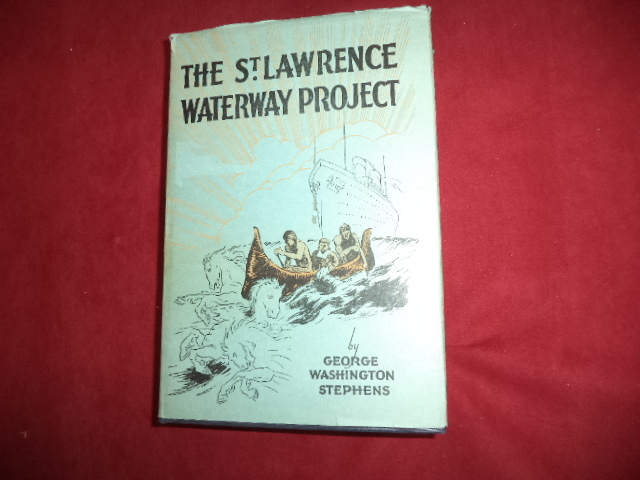 The St. Lawrence Waterway Project. The Story of the St. Lawrence River as an International Highway for Water-borne Commerce. Photo available. Montreal. Louis Carrier & Co. 1930. Octavo. Hardcover. Reprint. Illustrated. Important reference work. Folding maps. Fine copy in near fine (very light shelf wear) dust jacket (in mylar). Stephens, Mark. Three Mile Island. The Hour-by-Hour Account of What Really Happened. New York. Random House. 1980. 245 pps. Octavo. Hardcover. First edition. Fine copy in near fine dust jacket (in mylar). Stephenson, John. Death, Grief, and Mourning. Individual and Social Realities. New York. Free Press. 1985. Octavo. Hard cover. First edition. Fine copy in fine dust jacket (in mylar). Sterlin, Joy. Vineyard. A Year in the Life of California's Wine Country. New York. Simon & Schuster. 1998. Octavo. Hardcover. First edition. Illustrated in color and black & white. Fine copy in fine dust jacket (in mylar). Sterling, Bryan (ed). 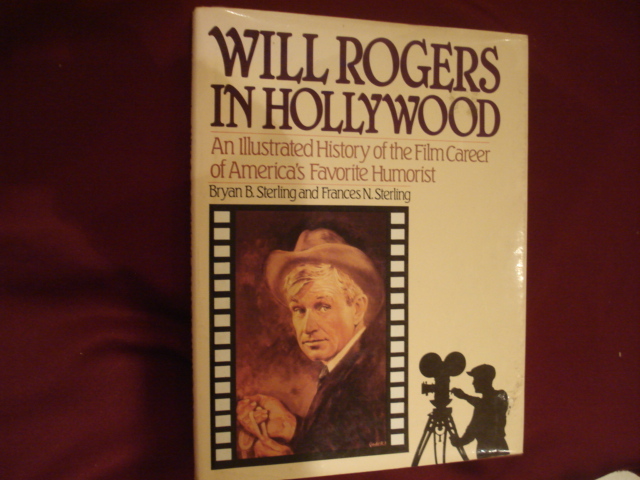 The Will Rogers Scrapbook. New York. Bonanza. 1976. 4to. Hard cover. Reprint. Illustrated. Fine copy in fine dust jacket (in mylar). Sterling, Bryan (ed). 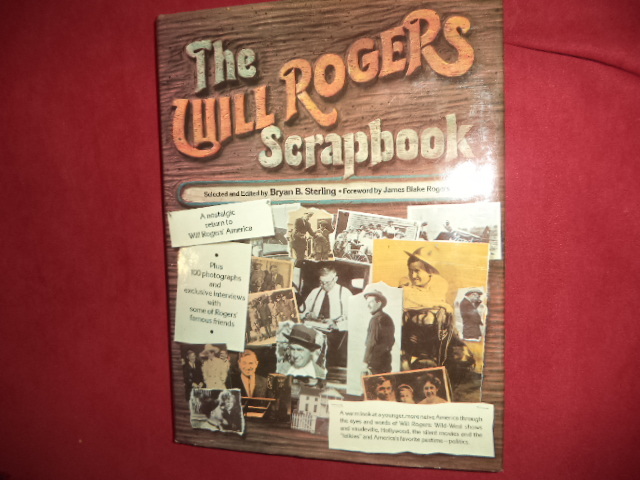 The Will Rogers Scrapbook. Photo available. New York. Grosset & Dunlap. 1976. 4to. Hard cover. Stated first edition. Illustrated. Important reference work. Fine copy in fine dust jacket (in mylar). Sterling, Bryan. Will Rogers in Hollywood. An Illustrated History of the Film Career of America's Favorite Humorist. New York. Crown Publishers. 1984. 182 pps. Octavo. Hardcover. First edition. Illustrated. Fine copy in near fine dust jacket (in mylar). Sterling, Bryan. Will Rogers in Hollywood. An Illustrated History of the Film Career of America's Favorite Humorist. Photo available. New York. Crown Publishers. 1984. 182 pps. Octavo. Hardcover. First edition. Illustrated. Fine copy in near fine dust jacket (in mylar). Sterling, Claire. Octopus. Sicily. The Long Reach of the International Sicilian Mafia. New York. W.W. Norton. 1990. 384 pps. Octavo. Hardcover. Reprint. Illustrated. Fine copy in near fine dust jacket (in mylar). Sterling, Claire. The Terror Network. The Secret War of International Terrorism. New York. Reader's Digest. 1981. 357 pps. Octavo. Hardcover. First edition. Illustrated. Fine copy in near fine dust jacket (in mylar). Sterling, Dorothy. Black Foremothers. Three Lives. Old Westbury. Feminist Press. 1979. 166 pps. Octavo. Soft cover. First edition. Illustrated. Fine copy.